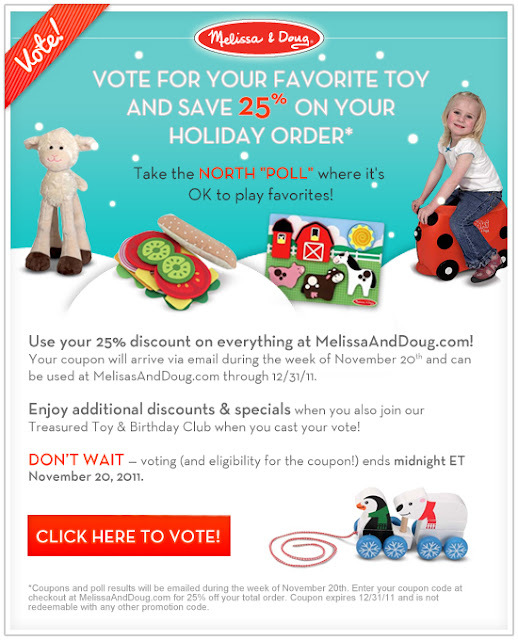 Google+ Mom to 2 Posh Lil Divas: Get a Melissa & Doug 25% Off Coupon When You Take the North "Poll"
I hope you have an easier time deciding on your fan fave! Happy voting (& happy shopping too w/the 25% off coupon code)! Be sure to let me know what you picked - curious minds want to know!